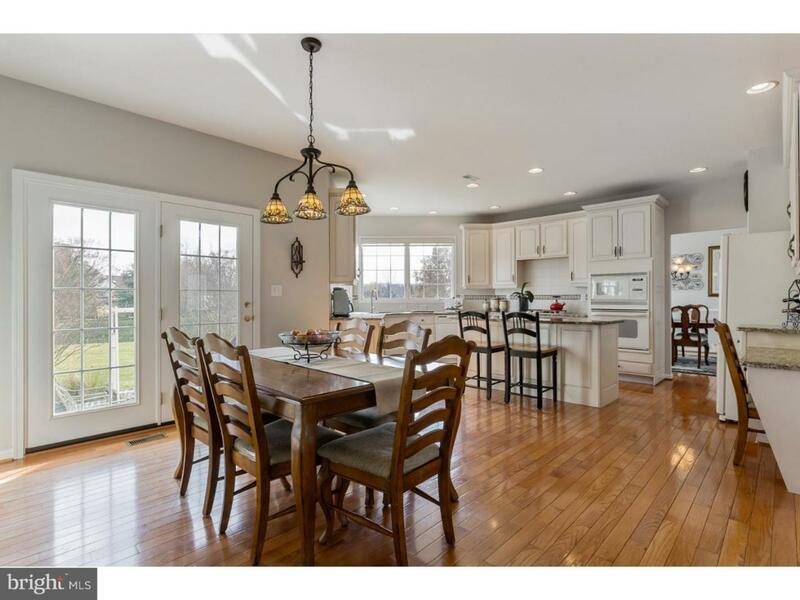 Pride of Ownership Shines through this Gorgeous Home situated on a professionally landscaped lot in the sought after community of Red Lion Chase. NO STUCCO! Home was fully remediated by Toll Brothers. 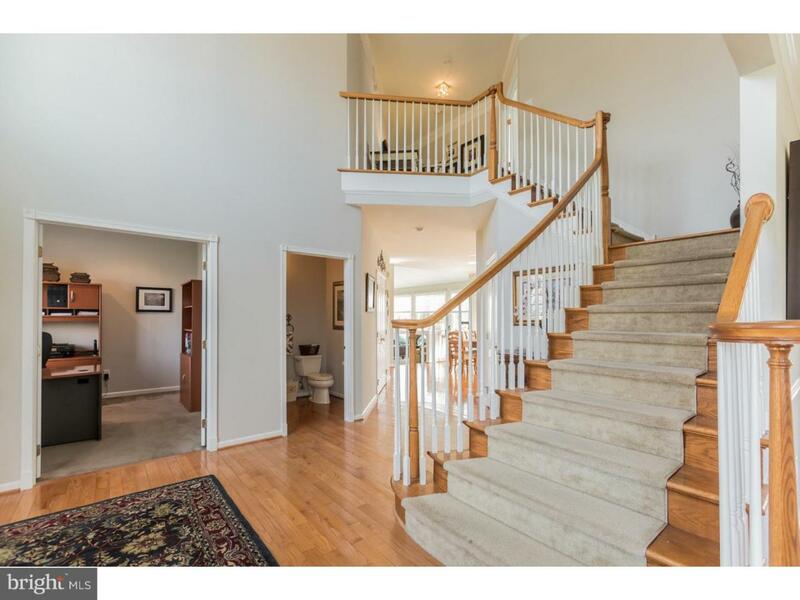 As you enter into the two story foyer you will notice the gleam of the hardwood floors continuing through most of the first floor and the turned staircase leading to the second floor. The gourmet kitchen is a chef's delight with an oversized center island, granite countertops, undermount double bowl sink, 42" York Town cabinetry, tile backsplash, recessed lighting and a breakfast nook with french doors leading to the cobblestone stamped patio, the perfect place to entertain guests or enjoy and cocktail at the end of a hard day. Dinner parties are a delight in the spacious formal dining room with chair rail and double crown molding continuing into the formal living room, accented by stately columns, to complete the main floor tour is a private office, powder room and laundry room. The kitchen opens up directly into the warm and welcoming family room with a brick fireplace to get cozy on a cold snowy day with vaulted ceiling and a second staircase to the 2nd floor where you will find a spacious owners retreat offering a private sitting room his & hers walk-in closets and a master bath featuring a soaking tub, double vanity sinks, ceramic tile floor and shower stall. The second floor also boasts jack and jill bedrooms with shared bath and 4th bedroom with a private bath. The finished lower level is equipped with a recreational area a bedroom and permitted full bathroom and a walkout to the paver patio. 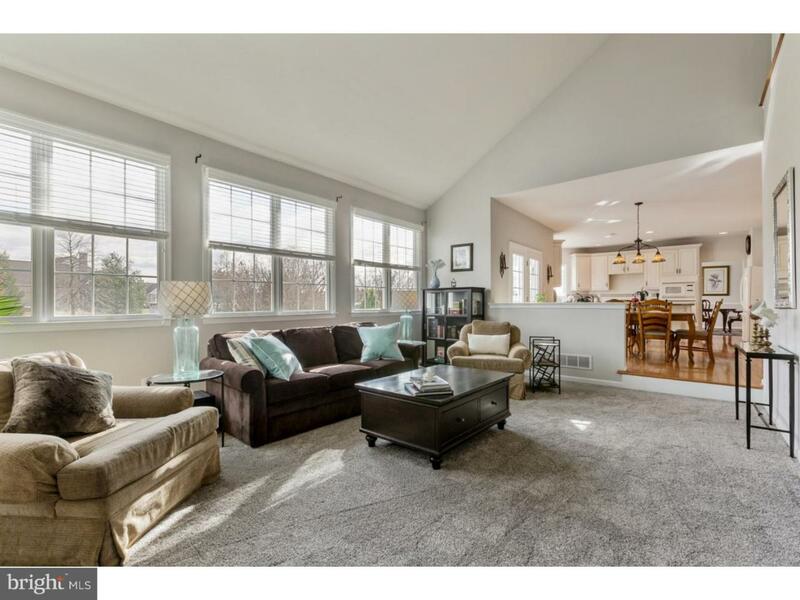 Additional features of this Beautiful home include double crown molding in most rooms, a 9 zone sprinkler system, turned three car garage and an underground dog fence. Location is a plus, close to shopping, parks and route 1 for easy access to Delaware Beaches and I-95. Make your showing today as this home will not last long.